This blog post explains how to use Pinterest for dummies. 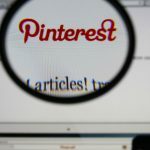 Whether you have an iPad, iPhone, or desktop computer, after your Pinterest login, you will face the basics of Pinterest. Let’s look at them. The “pinboard” is what you use in Pinterest to organize your “pins”. You create a “pinboard” to reflect a certain interest or category. One such “pinboard” could be named as “Latest Styles” to reflect your interest in the latest fashion trends. A “pinboard” organizes your interests in cute little boxes that display your most recent pins in that category. This makes it easier for viewers to sift through your “pins”. If you are a blogger, you can equate this to categories. would only be allowed to pin (or share) a link if it has a picture in it that would beautifully represent it. You can also upload a picture form your computer. bookmarklet automatically includes the link to the source. This feature of Pinterest makes “pinning” very convenient. The “pin it” bookmarklet automatically includes the link to the source. Gift Pins are “pins” with prices attached to it. Say, you see a coffee maker on amazon or ebay, you pin it using the boorkmarklet but instead of just putting in a simple description, you put a price on the description too. The amount you put in would automatically show up on the upper left corner of the image. The huge audience and dense demographic isn’t the only thing pinterest has to offer. If you open a channel on pinterest specifically for your business you get access to a chest of invaluable analytics tools completely free. These tools will allow you to see things like how much traffic you’re directing to your website from pinterest, how much traffic is being directed to your pinterest, and exactly where the traffic on your pinterest is coming from. This allows you to find people promoting your business and reward them in some way, which of course leads to more promotion from that person. One great thing you can do to drive up your online popularity as a business for a while is to run a contest on pinterest. This contest ideally would include prizes that are packages of your products, or possibly cash, and should somehow direct people to your company’s website in order for them to win. You could also have a requirement to sign up for a mailing list in order to have a chance at winning, which will then allow you continued contact with the people who interacted with you pinterest. handheld cameras rather than using images that are obviously taken in a studio, using a model, and then extensively photo shopped. You could also do this by hosting a real world event, like a company cookout for example, and promoting it on pinterest. This not only makes your brand seem more human, but also gets people to interact with your company in real life. Cross pollination between sites is always a good way to increase people’s loyalty to your brand. If your company has a Facebook, that account can be synced with the company’s new pinterest channel, and people from the Facebook page will see on your feed that you’ve started to pin things on pinterest. They are then highly likely to go and check it out, further reinforcing their connection to your business. 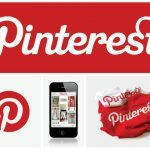 These are just a few of the ways you can use Pinterest to further your business marketing, and there are literally countless others. But remember, creativity is one of the best ways to have a successful marketing plan. Pinterest had a massive audience, and is a great place to brand and market your business. This also applies to people who freelance, pinterest is an excellent resource to find potential clients. For businesses that sell a specific product or products you have the option of putting your product directly into a pin. You can then include a direct link in the post to the URL of where the product is being sold. This allows you to direct interested buyers directly to where they should buy it from. An extension of this strategy is to also offer special deals to pinterest followers. This can be done using something like a promo code or they can be put onto a mailing list the receives coupons. The best way to do a mailing list like that is to keep a consistent schedule with the coupons, like once a month or so for example. Another method for branding yourself or your business on pinterest is to create a brand channel. This feature allows your business to have its own boards that can be user contributed, or entirely made by the company itself, and can help you concentrate your material and create more focused pins in general. This also gives you the ability to take advantage of the massive number of analytics tools pinterest gives you access to. This data can then be used to see what kind of demographic your product and marketing style is appealing to. Also on the note of gather demographic data, you can use pinterest to run surveys and essentially get free market research and product ideas. Not only does this let you see what your audience is interested in buying but it also gets more people to join the group that is interested in buying your products, and gets the already interested group more involved. Buyer involvement is key in getting repeated buyers. Two tips for branding your services as an individual or free lancer are to get in communication with other professionals in your field, and to use pinterest to arrange collaboration with others. There is no shame to ask questions, and pinterest allows you to ask questions about your profession to other people, in most cases people who are in your field but more successful than you. Getting advice from these seasoned experts in the field can make you immeasurably better at your job. Pinterest can also be used to arrange collaborations. For example if you have a project deadline coming up you could ask some people for help, and because of the tight knitted nature of the pinterest community, you are likely to get some help. countless other advantages. All of that on top of a huge and growing audience of over 4.4 million users who spend an average of 15 minutes a week on the site will give your business the key advantages it needs to succeed in the marketing department. Just like any apps 🙂 Use it to grasp many good ideas and inspirations. We wish it would let us send a comment back when someone sends us a pin. I love crafts, and I’m looking for new ideas! !